Your Isuzu D-Max's favourite upgrade. Pioneer’s unique NAVGATE EVO system perfectly matches the look & feel of your Isuzu D-Max 2017. 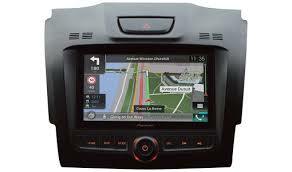 It brings high-end navigation, extensive Apple CarPlay & Android connectivity, as well as outstanding audio/video performance, all smartly combined in a single, easy to use package.